The Congress and the NCP are far behind the Sena and the BJP, leading on 14 and 4 seats, respectively, in the 227-member BMC. 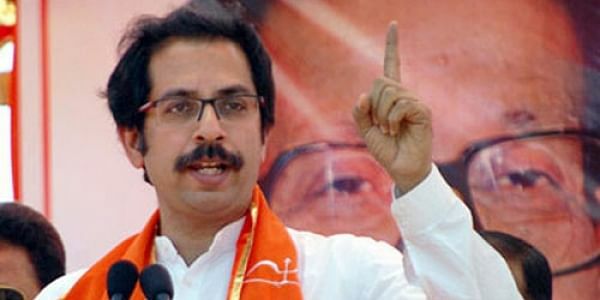 MUMBAI: The Shiv Sena is maintaining its hold on Mumbai, leading on 72 seats followed by BJP on 40 seats as trends of counting of votes in Brihanmumbai Municipal Corporation, where the saffron allies are locked in a battle, poured in. As per trends coming in from the other city corporations, zilla parishads and panchayat samitis, the BJP is ahead of its rivals on 18 seats and Shiv Sena on 7 seats in the Nashik civic body. The ruling MNS in Nashik, Congress and NCP were leading on 2 seats each. The civic polls, especially in the country's financial hub Mumbai, have generated much political heat on account of the fierce fight between the BJP and the Sena, despite being partners in governments in the state and at the Centre. The battle of the estranged allies has put a question mark on the stability of the BJP-led ministry in the state as Sena had been tenacious in its attack on the senior partner and the Centre's demonetisation policy. The results will determine the fate of 21,620 candidates for 5,777 seats up for grabs in the 10 municipal corporations, 25 zilla parishads and 283 panchayat samitis for which the elections were held in two phases. Meanwhile, the BJP has registered win on 15 seats and Shiv Sena on 9 in the 122-member Nashik Municipal Corporation, an official said. Former Nashik Mayor Yatin Wagh, who had recently left the MNS and joined Shiv Sena, lost the civic poll. Besides, as per the latest trends available, Shiv Sena was leading on 18 seats, BJP on 14, and MNS, NCP and Congress on 2 seats each.